Kate is in her third year of the MD/PhD program and she loves enormous yellow Labs, running on ice, and multiples of three. Pushing the stroller of twins. Are they identical? Or nocturnal? And I only just learned of The Brown Bag Test. What it was to examine how White. That no one could go there. and she’d best not waste her time. Skipping ahead toward bright midday. and reached for the sky. 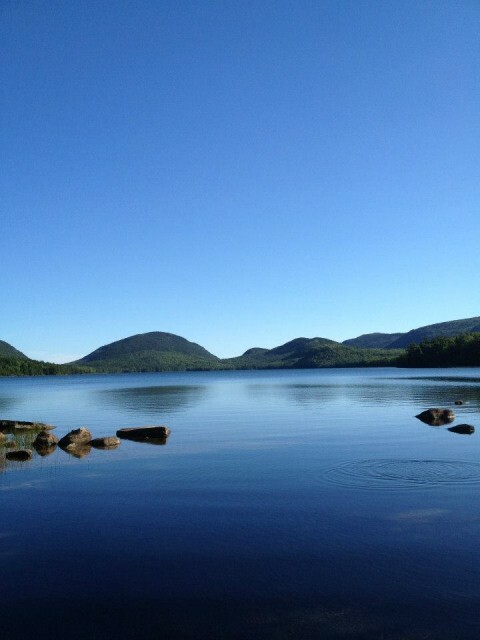 Eagle Lake, Acadia National Park, Maine. Taken by K. Brieger.